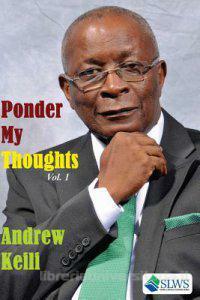 Andrew Keili's shrewd, introspective, oftentimes hilarious commentaries in Ponder My Thoughts Vol. 1 are much like the opinion articles he wrote in the mid-2000s, when he explained post-war Sierra Leone, its management, or lack of it, in local, regional, and national government. 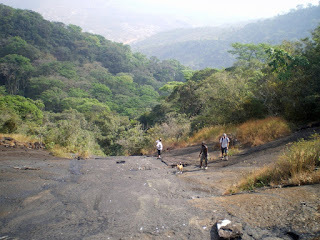 How we see things depends on where we stand on Sierra Leonean--ness, society, and politics. Although the original estimate of misuse was scaled down from US$ 1.1 million to US$ 523,303, after an external investigation by GAVI, the first op-ed begins to give you a picture as you try to make sense of Sierra Leone. Interestingly, Keili, a British trained mining engineer and former mining company executive, is also a lay preacher. After the eleven-year war, Sierra Leone with the support of rich countries around the world embarked on a disarmament, demobilization, and reintegration (DDR) program. The DDR program focused on the weapons and the needs of the combatants that were carrying them. Bai Bureh was a warrior, who fought against the British. The British mek ee surrender. Ee ala kortor marimu! “This familiar derogatory refrain was used to exemplify how we have denigrated our historical icons by the renowned African studies scholar and historian C. Magbaily Fyle in a speech he gave on the relevance of history and culture to development,” wrote Keili. “He was particularly miffed with the ABC Secretariat, which he said was going in the wrong direction trying to convince Sierra Leoneans to change their attitude and behavior.... There is a strong need for revalorization of our cultural and historical traditions...symbols, national figures should be presented in a national context,” Fyle said. The ABC, or Attitudinal and Behavioral Change, under the ministry of information, was announced soon after President Ernest Bai Koroma won the 2007 elections. The ABC campaign is fashioned along the lines of John Major's long-discredited "Back to Basics." By the second quarter of 2013, Keili's was focused on skepticism about privatization, and rising graduate unemployment. “The reality is that the civil service is bloated and the capacity of ministries, departments, and government agencies to absorb graduates is severely limited...yet universities and colleges continue to churn out people in numbers,” Keili wrote. Over the next several months, Keili covers mobile phone companies, broadcasting, protectionism, a new small claims court, personality cults in politics; people who remove base course aggregate from road construction to place the stones in their own backyards, and the theft of poles, for transmission lines, which went into the making of artisan pots. Perhaps the most difficult examples of the touch-and-go issues were drawn from customer service. 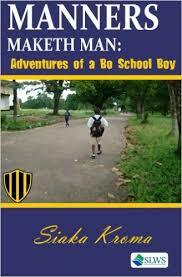 Keili travels high and low Sierra Leone in his narratives, which can be read in date order (sadly there is no Contents page) or by skipping through the 40-plus chapters, using the thought-provoking subheads as a guide. That's how I landed on "The Revised Sierra Leone Dictionary" chapter, which would have you rolling if it wasn't so poignant. The Constitutional Review Process piece is really a conundrum, but be sure to read the sections that comment on Sierra Leone's budgetary reform and budget framework, fiscal discipline, funding, poverty reduction and data collection. Keili has praise for Sierra Leone too. A 2004 World Food Prize Laureate, Prof. Jones, a rice scientist, made miraculous breakthroughs as a senior rice breeder at the West Africa Rice Development Center and executive secretary of the Forum for Agricultural Research in Africa in Accra, Ghana. Kelvin Doe wowed engineers at the Massachusetts Institute of Technology with the things he taught himself to make from scrap.